Libertyville Chevy has the Chevrolet Malibu trims in stock, so you can take your pick of five fuel-efficient sedans to navigate the roads of Waukegan and Gurnee. From the affordable L to the well-appointed Premier, the top-rated Chevy Malibu has incredible options for everyone. Preview our inventory below, and then stop by Libertyville Chevy to get behind the wheel. Silver Ice Metallic 2019 Chevrolet Malibu LS 1LS FWD CVT 1.5L DOHC Preferred Equipment Group 1LS. All prices include all available Incentives. Price is valid for 24 hours. Tax, title, license, doc fee extra. While we try to ensure online merchandising accuracy;dealer not responsible for website errors. Please call to verify price. 29/36 City/Highway MPG Pricing includes all available rebates, dealer is not responsible for any pricing errors. Please call for pricing and availability. Shadow Gray Metallic 2019 Chevrolet Malibu LS 1LS FWD CVT 1.5L DOHC Preferred Equipment Group 1LS. All prices include all available Incentives. Price is valid for 24 hours. Tax, title, license, doc fee extra. While we try to ensure online merchandising accuracy;dealer not responsible for website errors. Please call to verify price. 29/36 City/Highway MPG Pricing includes all available rebates, dealer is not responsible for any pricing errors. Please call for pricing and availability. Silver Ice Metallic 2018 Chevrolet Malibu LT 1LT FWD 6-Speed Automatic 1.5L DOHC All prices include all available Incentives. Price is valid for 24 hours. Tax, title, license, doc fee extra. While we try to ensure online merchandising accuracy;dealer not responsible for website errors. Please call to verify price. 27/36 City/Highway MPG Pricing includes all available rebates, dealer is not responsible for any pricing errors. Please call for pricing and availability. Summit White 2018 Chevrolet Malibu LT 1LT FWD 6-Speed Automatic 1.5L DOHC All prices include all available Incentives. Price is valid for 24 hours. Tax, title, license, doc fee extra. While we try to ensure online merchandising accuracy;dealer not responsible for website errors. Please call to verify price. 27/36 City/Highway MPG Pricing includes all available rebates, dealer is not responsible for any pricing errors. Please call for pricing and availability. Silver Ice Metallic 2019 Chevrolet Malibu LT 1LT FWD CVT 1.5L DOHC Driver Confidence Package, Preferred Equipment Group 1LT, Rear Cross Traffic Alert, Rear Park Assist, Side Blind Zone Alert w/Lane Change Alert. All prices include all available Incentives. Price is valid for 24 hours. Tax, title, license, doc fee extra. While we try to ensure online merchandising accuracy;dealer not responsible for website errors. Please call to verify price. 29/36 City/Highway MPG Pricing includes all available rebates, dealer is not responsible for any pricing errors. Please call for pricing and availability. Which Chevrolet Malibu is right for you? The Malibu L is the most affordable option, and its 160-hp 1.5L 4-cylinder engine delivers up to an EPA-estimated 36 highway mpg! The Malibu LS adds new technology into the mix, like a standard Rear Vision Camera and Chevrolet MyLink Radio. The Malibu LT introduces extra conveniences, including built-in 4G LTE Wi-Fi and SiriusXM Satellite Radio. The Malibu Premier is packed with amenities ranging from heated seats to the Bose 9-speaker sound system! Want to go green? Try the eco-friendly Malibu Hybrid, which generates up to 49 mpg in the city! 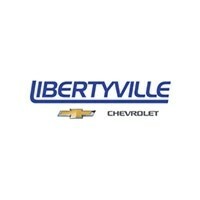 Visit Libertyville Chevy today to explore your options in person!